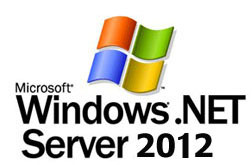 WebhostforASP.NET is proud to launch Windows Server 2012 hosting with the IIS 8 latest version as the web server. WebhostforASP.NET is a hosting company that 100% dedicated itself to Windows Hosting platform. Windows Server 2012 integrated with New virtualization applications and tools, Web resources & security apps enhancements which helps our customers save time, costs & provide a multiple platform for a dynamic & optimized datacenter. This features allows our customers to have a higher level of control and customize their servers & optimise web, setting up, configuration, & management for various tasks. It also comes with advanced security apps & reliability enhancements such as Network Access Protection & the Read-Only Domain Controller features. These enhancements will harden the operating system & protect our customers server environment to ensure a solid foundation on which to build a business. Windows 2012 Hosting Server uses IIS7 which simplifies for web server management. IIS7 is able and simple to provide a simplified, task-based management interface, greater cross-site control management, security enhancements, and integrated health management for multiple Web Services. Windows Server 2012 is the most secured Windows Server ever. Its hardened Operating System and security management innovations, including Network Access Protection, Federated Rights Management, and Read-Only Domain Controller, provide unprecedented levels of protection for your network, your data, and your business. Windows Server 2012 helps protect against failure and intrusion for hosting servers, networks, data, and user accounts. Network Access Protection gives you the power to isolate computers that don't comply with your organization's security policies, and provides network restriction, remediation, and ongoing compliance checking. Read-Only Domain Controller allows you to deploy Active Directory Domain Services while restricting replication of the full Active Directory database, to better protect against server theft or compromise. Windows Server 2012 is the most flexible and robust Windows Server operating system to date. With new technologies and features such as Server Core, PowerShell, Windows Deployment Services, and enhanced networking and clustering technologies, Windows Server 2012 provides you the most versatile and reliable Windows platform for all of your workload and application requirements. All our Shared hosting and Reseller hosting plan is hosted in Windows 2012 Servers.